Rainbow's End is the ideal venue for kids' birthday parties and can cater for groups of all sizes and ages. Treat your guests to unlimited rides, great entertainment, and yummy food - it's the best place to come for a fantastic party! We have something for everyone with options for Kidz Kingdom rides only or access to the whole park! Full party service option available with catering, and options to include birthday cakes, balloons, place settings and loot bags. Our party was absolutely awesome, it was great value for money. Everyone had the best time and were really impressed by the venue. The staff were great and I would definitely recommend that you have your birthday at Rainbow's End. For children 2- 13years old. 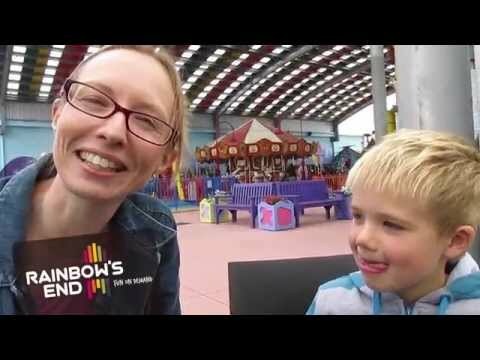 Option of unlimited rides in either Kidz Kingdom or the whole of Rainbow's End. An hour in one of our special birthday rooms. One free adult spectator per child. Happy Birthday message on our large sign on Great South Road and birthday badge. For children 2-13 years old. The birthday child receives a FREE Superpass when 5 or more guests purchase a Superpass. A birthday badge to remember the special day. Want to discuss your party arrangements? Enter your contact details below and we'll get in touch to talk about your party needs and book a date that works for you. Book in advance to reserve your date! 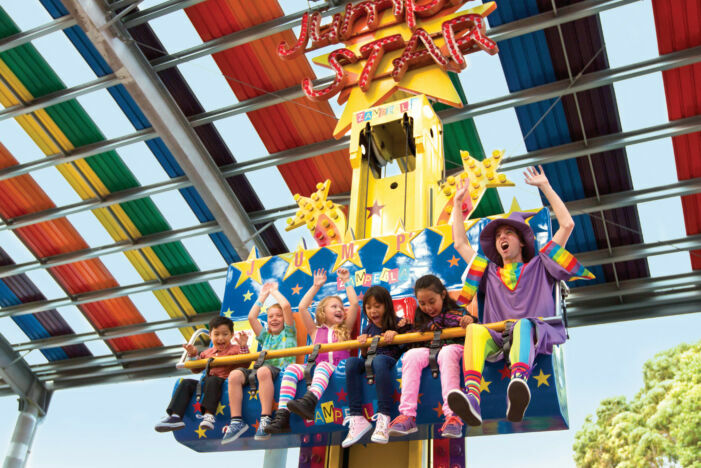 Have the best birthday ever at Rainbow's End, a full day of fun and rides for all ages! Book online now or see our birthday packages for more details. A deposit by credit card will be required when you book online and we will contact you to confirm details within 24 hours on a weekday or the next working day on weekends or public holidays. To give more assurance of securing the date and time you prefer, please book in advance. Please note that birthday deposits are non-refundable. See our birthday packages for more information on kids parties at Rainbow's End. If you would like to talk with one of our coordinators about a party please email or call us on 09 262 2030. We would be happy to answer any questions and help you create the most wonderful birthday for your child. Once you have chosen your birthday package it's time to get into the fun part - inviting your guests and adding any special touches! We have free birthday invitations for download at the bottom of this page, just choose which colour you would like and add in your details. We also have a range of extras which can be added to your party like loot bags, birthday gifts, place settings or balloons. We can also organise a birthday cake or extra catering for your group so there's lots of options to make the party perfect for your child. Come along and meet our resident park characters, Rai n Bow, Princess Sapphire, Sir Prised Alot, Iris the Fairy and Enzo the Magician! Have a birthday party like never before at Rainbow's End. One of our Kidz Kingdom birthday party rooms. Our Kidz Kingdom birthday package includes your very own birthday room for an hour. We can also help make your celebration extra special with the option to book balloons, place settings, loot bags or a birthday cake! Rainbow's End Birthday Invitations are available in PDF format for download. There are four different designs so you can choose just the right one for your party. Please feel free to print these invitations for your friends and family, we're sure you will have a fantastic birthday here at Rainbow's End! Our Kidz Kingdom Birthday Package includes a photo of the birthday group as a special memento of the party! Choose from four different photo borders and you'll also get a photo code to download a digital copy to share with all your guests! Rainbow’s End provides entertainment at Centre Stage on weekends, public and school holidays. See our entertainment schedule for a full list and show times.